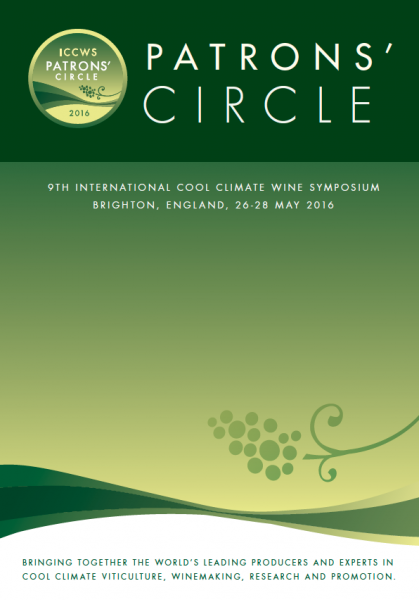 After undertaking the branding for the International Cool Climate Wine Symposium (set for 2016), I’ve been pleased to do some more work for them, undertaking the design for its Patrons’ Circle – an exclusive members’ club for supporters. It’s looking pretty swishy with some nice branding to emphasise the Circle’s exclusivity and I think the designs have a clean, classic aesthetic and an air of elegance. Here I have included images of a pop-up banner stand, the cover to the Patrons’ Circle flyer, and a couple of the draft logo ideas I put together (based on the original ICCWS logo I did). We pondered a gold colour logo but opted for the goldy-green shades, a few shades different to the original logo.